I am obsessed by using oils of any kind on my face, body and hair, but I must admit that the idea of a tinted, foundation-esque face oil puzzled me. How would the pigment not just slide off, and would it make me glow like a disco ball when I got even remotely hot? In the case of the amazing Kosås Tinted Face Oil, it’s a firm ‘no’ to both, and I’m in love. 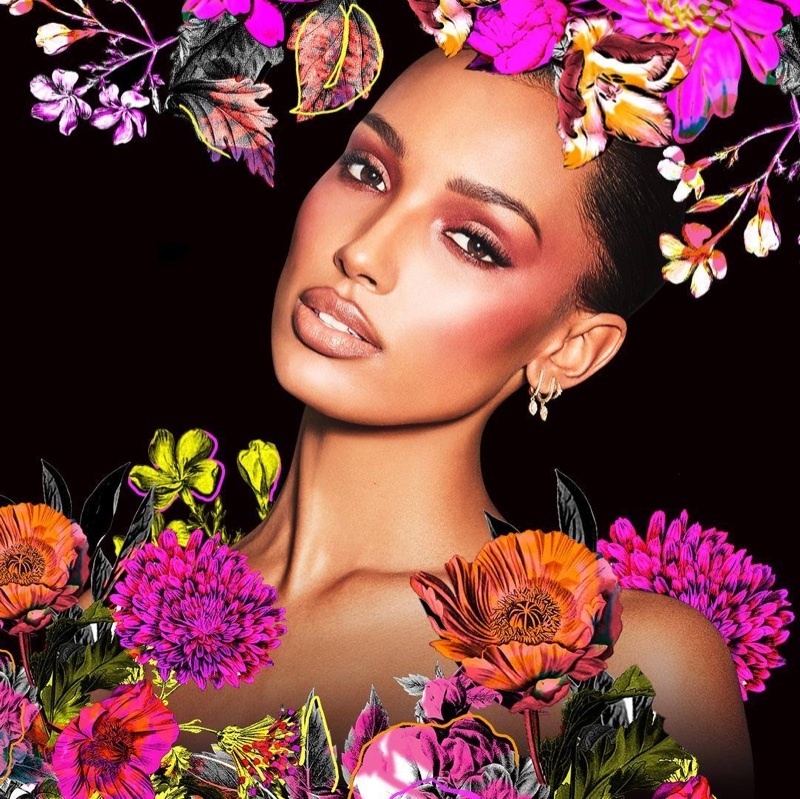 Kosås is the brainchild of L.A.- based artist and chemist Sheena Yaitanes, who created her own tightly edited collection of makeup mainstays informed by colour theory. A long time beauty obsessive reportedly driven by a love of makeup, Sheena majored in chemistry and biology in university, earned her MBA, and completed an 18-month long fine arts apprenticeship. By combining her passions for science and art, she created something pretty amazing, and the brand’s cult status was cemented almost immediately. If you see photos of the creator, you’ll be immediately taken by her easy, natural style and absolutely flawless skin. She definitely knows what she’s doing, and the revolutionary hybrid of skincare and makeup known as the Tinted Face Oil really takes supernatural skin to the next level with luminous medium coverage. It contains three types of mineral pigments for soft-focus, seamless coverage as well as six active botanical oils to even skin tone and erase pores and imperfections. Perfect for any skin type, the fast absorbing foundation-meets-oil formula contains self-adjusting pigments and blends effortlessly for a velvety natural finish that actually lasts, and lasts. It works best patted on and blended in with your fingers, and feels like a silky serum going on. It sinks in on contact, so the finish is more dewy than oily, and it is refreshingly nontoxic but has the aforementioned great staying power. I love that it doesn’t settle into fine lines or cling to dry patches, and I highly recommend it to those of you out there that love a super flattering, naturally dewy finish. Just add a bright lip and a little bronzer and it really is the perfect foundation for right now. As an aside, I read that Oscar winner Rami Malek wears this on the red carpet for a natural, award-winning glow, so the boys love it too. 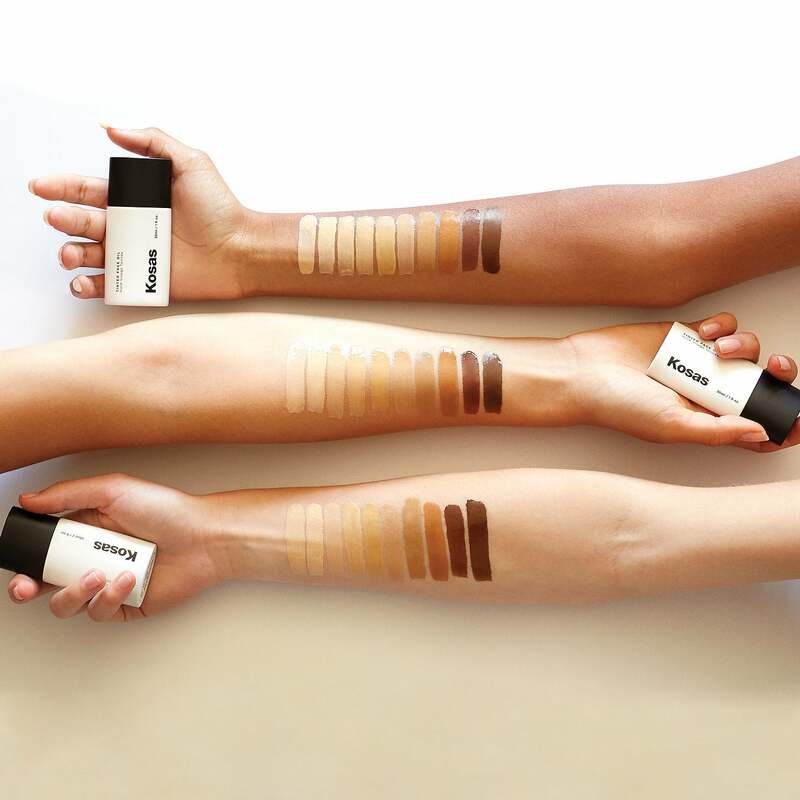 Available in ten shades, the Kosås Tinted Face Oil is available right now for RRP $67 exclusively at Mecca Cosmetica and www.meccabeauty.co.nz. Actress Brie Larson stunned on the red carpet at the 91st Academy Awards in a sparkling Céline gown and classic S wave hairstyle created by Moroccanoil Celebrity Hairstylist Bryce Scarlett. Brie Larson was presenting at the show alongside her Marvel Hero’s costars, and she was soon added to the ‘best of’ lists by media and style blogs all over the globe. Speaking about the inspiration for Larson’s super flattering hair look, Scarlett said, “I wanted her hair to have a cool girl, slept-in textured, soft and not overly shiny look,” which perfectly complemented – not competed with – the blinged out element of her dress. It’s a very French approach to great hair in that it’s lived in and ‘real’, yet still completely on point. * On damp hair, use a one dollar coin sized amount of Moroccanoil Treatment Light to provide the perfect foundation for styling. * Next, apply Moroccanoil Volumizing Mousse at the roots of the hair and Moroccanoil Blow Dry Concentrate at the ends. * Blow dry the hair using the Moroccanoil Professional Series Tourmaline Ceramic Hair Dryer with the 45 MM Moroccanoil Boar Bristle Round Brush for a smooth and full bodied blow out. * Then, bend hair with the Moroccanoil Professional Series Titanium Ceramic Hairstyling Iron to create different sized S waves throughout the hair for a textured, voluminous style. * Break up the waves with your fingers and spray Moroccanoil Dry Texture Dry generously throughout the hair while keeping the arch around the frame of the face. * Lastly, spray Moroccanoil Luminous Hairspray Medium throughout sections of the hair to create a tousled finish look. You’d have to be living under a rock not to know that the 91st Academy Awards took place last night in Los Angeles, and it the red carpet was the usual fascinating hotbed of hits, misses and ‘wow’ moments. Conspicuously absent from the madness was the always-incred Lupita Nyong’o, but yes, she was there. And she slayed. 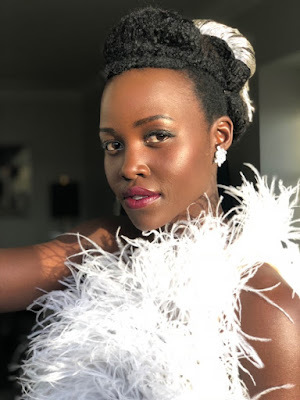 The Oscar-winning actress opted to skip this year's red carpet, which was a bummer as she wore the most stellar gown for the occasion, and had an equally as fabulous beauty look to match. 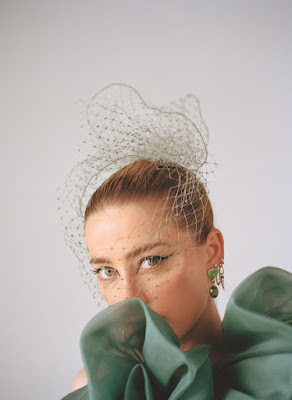 Sharing a behind-the-scenes photo on Instagram, the star revealed her look for the night: a gorgeous, white feathered Oscar de la Renta gown straight off the runway from the fashion house's Fall 2019 show at New York Fashion Week. Celebrity Makeup Artist Nick Barose created a ‘pearl tone’ look to grace the Lancôme ambassadress’ flawless features, and it was a match made in heaven. One of the world’s greatest beauty ‘steals’ and applauded by everyone from Julia Roberts to Adele and Victoria Beckham, the marvellous multitasker known as Weleda Skin Food is always at the top of any beauty freak’s ‘essentials’ list. Amazingly, the product was first formulated in 1926 and remains largely unchanged today. That is serious longevity right there, and with good reason. Naturally delicious for your skin, Skin Food is an intensely hydrating super multitasker that can be used everywhere from the tips of your hair to the tips of your toes. It is 100 per cent certified natural, and a yummy blend of organic chamomile, calendula, rosemary and wild pansy, in a thick base of sunflower seed oil, sweet almond oil and organic beeswax - no wonder skin loves it! Now, the Skin Food menu has grown to include two new products that are also predicted to become global favourites: Skin Food Body Butter and Skin Food Lip Balm. With a melt-at-the-touch texture, Skin Food Body Butter is a creamy, whipped formula that leaves your skin velvety soft and plump. The inclusion of Organic Cocoa Seed Butter and Organic Shea Butter provide instant relief from dryness and protect skin with an optimal moisture barrier, and I think it will really come into its own as the temperature drops. Other key ingredients in there include Organic Sunflower Seed Oil (rich in antioxidants from Vitamin E), Organic Rosemary Leaf Extract to enhance skin’s regenerative processes and soothing Organic Calendula (Marigold) and Organic Chamomile Extracts. Non-greasy and housed in a super convenient pot, Skin Food Body Butter is also dermatologically approved for atopic skin and is perfect for all skin types, as well as being suitable for vegans. I’ve been applying it straight after a shower to slightly damp skin and can almost see the repair it is exacting on my post-summer skin. On humid days I recommend waiting a few minutes before dressing just to make sure it’s all sunk in, then you’re good to go. Next up is the multi-purpose Weleda Skin Food Lip Balm, which protects dry chapped lips and gives a gorgeous sheen. Lanolin and Beeswax layer lips with a protective barrier to protect from drying out, whilst the inclusion of Organic Sunflower Seed Oil packed with Vitamin E, A C & D, Organic Rosemary Leaf Extract, Organic Calendula and Organic Chamomile Extracts help relieve and nourish. Once again perfect for post-summer repair, Skin Food Lip Balm is gluten-free and small enough to carry anywhere. Weleda Skin Food Body Butter (RRP$29.90) and Skin Food Lip Balm (RRP$12.90) are both available now. Three years after she became the face of CoverGirl at just 19 years old, Zendaya Coleman has landed her second big beauty contract - this time, with Lancôme. The move is befitting given how far the young force of nature has come, and I think the new pairing is a match made in heaven for both parties. Lancôme made the announcement at the end of last week at the Four Seasons Hotel in Los Angeles, with other global ambassadors Taylor Hill and Lupita Nyong'o standing by to welcome Zendaya to the fold. It presented a triple threat if ever there was one, and goes to show how committed to diversity and talent the brand really is. But back to Zendaya. 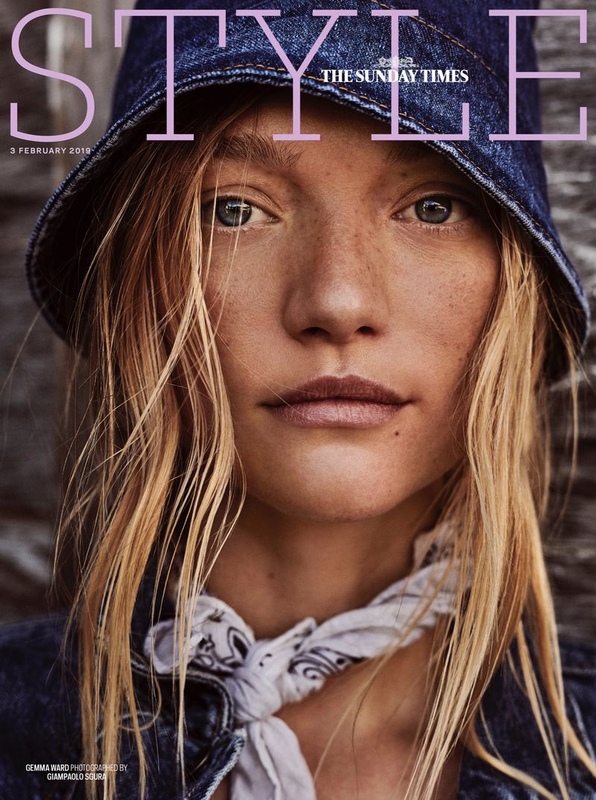 The American actress, singer, and fashion authority started out as a child actor and model, going on to star in films like The Greatest Showman and Spider-Man: Homecoming, also recently launching a capsule collection with Tommy Hilfiger. That’s on top of having over 54 million Instagram followers, who follow her every move. At age 22, Zendaya becomes part of the stellar cast of Lancôme ambassadors, adding her unique and diverse vision to the esteemed French luxury house of beauty. Joining the likes Julia Roberts, Kate Winslet, Isabella Rossellini, Penelope Cruz, Nyong’o, Lily Collins and Hill, Zendaya’s irresistible appeal and strong identity - attributes she shares with the other ambassadors - is indicative of a happy, bright and shining future within the Lancôme family. Undoubtedly one of the most influential and prominent names in the industry, Zendaya is also a role model for her generation and she uses her voice to promote education and positivity. Her involvement with charitable causes ties in with Lancôme’s philanthropic commitment as well, and I can’t wait to see what they do together. From you minute you open the box and see this beauty nestled in its silk/satiny-y nest, you know you are in possession of something special. It’s the Angela Caglia La Vie En Rose Face Roller, and it is as beautiful to use as it is to look at! Celebrity facialist Angela Caglia (above) has been called the “Hollywood Glow Girl”, and she has challenged her energy of late into creating a concise collection of small batch and responsibly sourced skincare that delivers luminous and age-defying results. The collection is a mix of chic, sustainable and clean, which makes it highly covetable from the moment you lay eyes on its European black glass packaging. Rolling is a centuries-old technique used to de-puff, boost circulation and redefine the contours of your face, and it’s a modality that Caglia has harnessed over her two decades plus time in the industry. 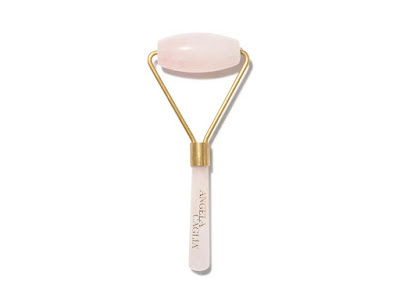 Her roller is made from ethically sourced Rose Quartz, and is designed to help drain fluid and improve elasticity, resulting in bright and healthy looking skin. Used alone or alongside your favourite oils, moisturisers and serums, this beautiful to use tool is now an essential in my skincare arsenal. In this humidity it has been amazing storing my roller in the fridge for a cooling, indulgent, at-home treatment, and it has made major in roads when it comes to dealing with morning puffy eyes. I roll in soft, upward and outward strokes on the neck and face, sometimes all the way down to my collarbone. You can also drop it in a warm (not hot) cup of water for a few seconds and use it to enhance the penetration of your favourite face oil, which feels even more indulgent. At $112 this Angela Caglia roller may be a bit pricier than the cheap jade rollers offered online, but if you want to invest in taking your #selfcare to a whole new level? Then this is one very attractive proposition that will help you do just that. Next on my Angela Caglia wishlist from Mecca Cosmetica is the Power Cleansing Balm, a luxurious cleansing balm with a unique whipped texture that I’ve been doing lots of research about online. Loaded with super-antioxidant meadowfoam seed oil to soften the look of fine lines and wrinkles and a blend of rose, chamomile, vitamin E and shea butter to soften, hydrate and boost radiance, it sounds like exactly what post-summer skin needs. Preserved in a UV-protected, black-violet glass jar with sustainable, recycled packaging it also looks absolutely amazing. Celebrity makeup artist and the organic beauty mogul behind rms beauty , Rose-Marie Swift has been a make-up artist for over 35 years, so when I was given the chance to get up close and personal with her a couple of years ago I was beyond excited. She visited New Zealand for the first time when we met as a guest of Mecca Cosmetica, who stock her products exclusively Down Under. After us she was flying to Australia and then on to Los Angeles, where she was to be a guest at supermodel Miranda Kerr’s wedding to tech mogul Evan Spiegel. I spent a morning speaking to her about her unique approach to makeup, which has that ever-elusive “glow” as its end goal, and came away with so many beauty hacks I felt like my brain was going to explode! Clearly one smart cookie, the ageless beauty also gives some great insight into natural and organic beauty solutions, stressing that we mustn’t be so affected by marketing, product claims and brand names: “just get cleaner makeup”. All of which bring me to her line, rms beauty. It is essentially an original, pure, organic colour cosmetic line that performs and then some. Based on living and organic principles, each product is created to hydrate and illuminate vital, radiant skin and is the perfect choice for your best ever ‘natural’ look. rms beauty is dedicated to transforming the way women use makeup, creating a product that is not only non-toxic, but actually heals and nourishes skin. Consider it skincare with mineral colour - giving make-up a whole new meaning. 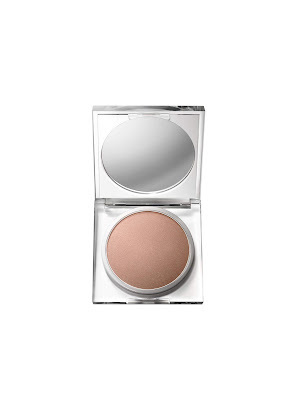 rms beauty already makes the most beauty editor-approved highlighter on the planet in the form of the legendary Living Luminiser, which I have been using in various shades since meeting its creator and absolutely adore. So it was with EXTREME excitement that I greeted news that the all-natural beauty brand has released a powder version of its popular highlighter in three shades: Grande Dame, a pale champagne; Midnight Hour (above), a beige, warm peach; and Madeira Bronzer, a shimmering, cool-toned bronze. Having played with two of the three shades now I am totally hooked, and what I love most is the fact that the powders are so finely milled that the finish is sublimely subtle, but you can build them to be as blindingly strobed as you like. The silky smooth, luminising powders challenge traditional formulas in that they are refreshingly non-drying and will actually enhance your skin to create a luxurious highlight. They leave your skin moisturised and radiant, and their light never dulls. 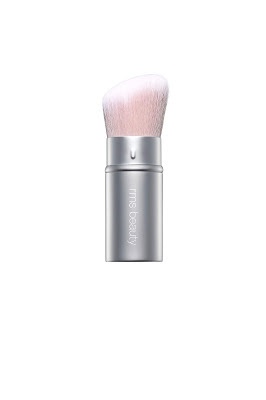 Those in the know recommend that you apply them using the rms beauty Luminising Powder Brush, and after trying a few different options, I have to agree. Designed with perfectly angled bristles and retractable, it precisely applies powder highlighter to illuminate features and give dimension to the face. It is also 100 per cent vegan, and made of the safest highest-quality synthetic hairs. I have found that loading just a little product on the brush is the best way to start, then layer up as need be depending on how deep with pigment you want to go. So there you have it – amazing. The rms beauty Luminising Powders and Brush will be available exclusively at Mecca Cosmetica and online at www.meccabeauty.co.nz from 26th February 2019. The above quote perfectly sums up the hair look created by the legendary Eugene Souleiman for Dion Lee’s AW19 collection, which took to the runway at the recent NYFW to rave reviews. Offering up traditional, flawless tailoring combined with experimental, influential design, Dion Lee has honed his craft to perfection over the years, and this collection was no different. 1. Crafting the look begins with the hair being cleanly split into two sections – one at the top of the head and one at the bottom. The hair from the lower section is then pulled back into the low, ever so slightly left off centre ponytail, and completely (and liberally) sprayed with Wella Professionals EIMI Mystify Me Strong to give it a tight appearance. 2. Once the lower section of hair had the desired texture, attention is turned to the top section. First, a ghd platinum+ styler is used to smooth the hair – this is essential to give the ponytail its sleek and tight appearance. 3. Next, a fine-toothed comb is pulled back through the hair, from the front to the off-centre point at the back of the head where the sections meet, and the outcome is that of someone running their fingers through their hair. 4. Once the top and bottom sections have come together, the ponytail is secured using black elastic, the length of it twisted and then twisted again in an upward direction as if (in Eugene’s words) it “recoils on itself”, before it is pinned to the head. 5. The fact that the hair is supposed to look natural means that it is imperative that it does not look wet in any way. A ghd air hairdryer was vital when it came to perfecting each style. Once the twist was complete, a diffuser was used in conjunction with the ghd air to visibly soften the hair. 6. The final touches to the look were in the form of headbands: one of which is plain and rakes through the hair, emphasising the grooves left by the comb. Beauty news: the iconic Laura Mercier to launch at MECCA! I am very excited to announce that the iconic Laura Mercier makeup brand will be making its debut in New Zealand on February 26th, when it launches at MECCA! The collection is full of multi award winning beauty saviours, many of which I’ve picked up on trips overseas and fallen instantly in love with. 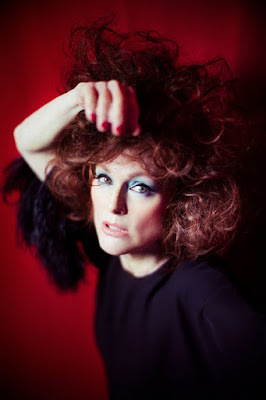 For those unfamiliar with her story, Mercier (above) is an internationally celebrated makeup artist and formulator with many years in the industry under her belt. Raised in Provence, France, she enrolled in painting school in Paris at age 17. With some coaxing from her mother, she decided to shift her talents to a new canvas, and started attending the prestigious Carita Beauty Institute, specialising in makeup application. 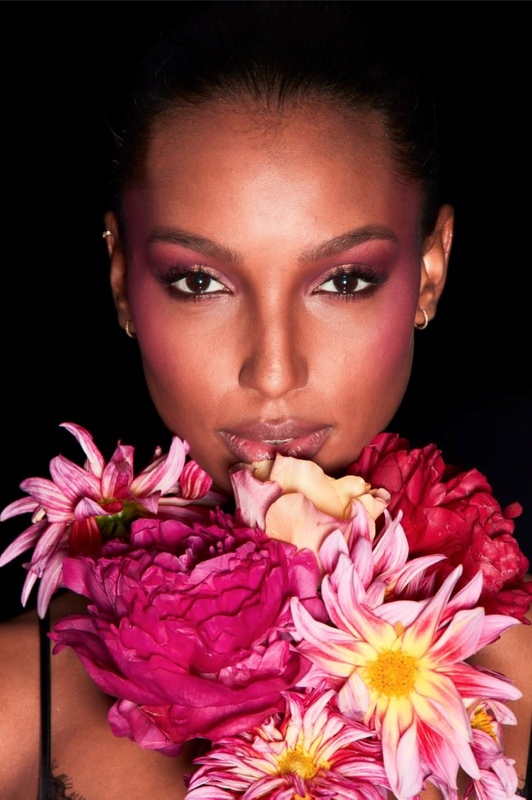 A diligent student with an innate eye for makeup artistry, Laura excelled in her classes and subsequently represented Carita as a makeup artist and makeup teacher, working closely with renowned makeup artist Thibault Vabre. 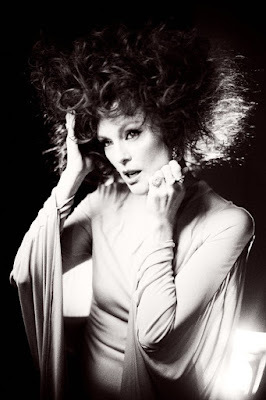 In the mid-1980s Laura moved to the United States and began a revolutionary career in the magazine industry, working on the launch of American ELLE and editorial spreads for Allure, Vanity Fair, Glamour, W, and InStyle, among many others. 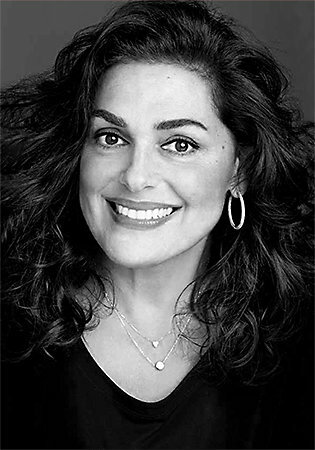 In 1996 she launched Laura Mercier Cosmetics, and the brand became synonymous with creating great, healthy looking skin. As an innovator, Laura changed the makeup industry forever with her introduction of the first foundation primer to create the perfect canvas for makeup application. Those who work closely with Laura know that she is deeply passionate about the idea of a ‘no makeup’, radiant glow - or bonne mine in French. Laura Mercier products are lauded throughout the industry and have won numerous awards, including the Tinted Moisturiser (my personal fave), which is frequently named in Best of Beauty Awards around the world. Available in 19 shades, it’s a sheer coverage multitasker for a healthy, no-makeup look with a super flattering, natural dewy finish. The lightweight, moisturising formula adds a soft hint of colour that evens and enhances skin without hiding it, making it what we want to be wearing come the weekend. Secret Camouflage (below) is another hero, and takes the the form of a full coverage concealer that leaves skin looking natural and flawless. Laura's original creation and an absolute must-have in any artist's kit, it has more pigment than a traditional concealer and is super longwearing. So, bring on February 26 – and start saving those pennies now!